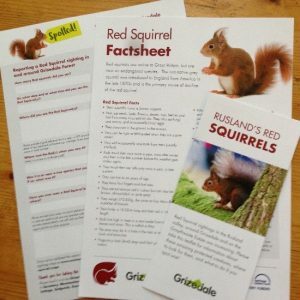 Work began in earnest in September 2016 monitoring existing red and grey squirrel populations, controlling grey squirrels and establishing a long-term commitment by residents to protect their red squirrels in years to come. Between 2017 and 2019, the public reported more than 30 red squirrel sightings in the area. Now, we’re encouraging local people and visitors to report what they see through a family friendly leaflet, fact sheet and reporting form. These are available at the Grizedale Visitor Centre, the Graythwaite Estate’s shop and holiday cottages. We have been grateful for financial support from Forestry England, Graythwaite Estate, Lake District National Park Authority, the Rawdon-Smith Trust, the Coniston 14 charity event, Logs Direct>> at Halton and the John Strutt Conservation Foundation>>. Without this support we would be unable to sustain the project now that Heritage Lottery funding has expired. This project, started in 2015, seeks to restore the red squirrel population of the area, which appeared to have been replaced by greys, with the associated negative impact on trees, woodlands and songbirds. In addition to welcome support from the private sector we have attracted grants from the Area of Outstanding Natural Beauty/ Landscape Trust, the Barnes Conservation Trust and the Bittern Countryside Community Interest Company. In 2018 we were awarded £1,500 by the Hadfield Trust for cameras and other monitoring equipment. This project, in the Longsleddale, Kentmere and Troutbeck valleys and the area across to Coniston, received £15,000 of grant support between 2013 and 2014 from the Lake District National Park Authority and £4,000 from Red Squirrels Northern England. 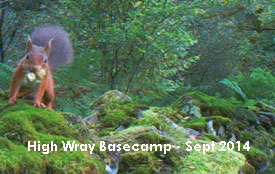 The project is now complete but our work in the area continues with help from Red Squirrels Northern England and a range of volunteer-led activity including red squirrel monitoring, grey squirrel control, fund-raising and increasing awareness in the local communities. This project covers the southern part of our area, including Arnside and Silverdale. A First TransPennine Express/Forestry Commission Green Grant has paid for traps and cameras. We were also awarded a grant from the Red Squirrel Survival Trust’s Grey Control Fund for volunteer expenses, which we have supplemented to cover contractor payments. Our aim is to increase grey control over the whole area while also developing a shared strategy for red squirrel protection with large landowners and conservation organisations. In December 2016 we were awarded £1000 by Cumbria Community Foundation from the Holehird Trust to pay for volunteer travel expenses over the coming year. 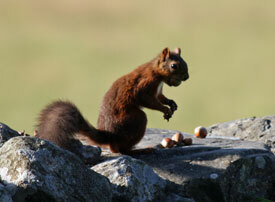 This helped us with vital conservation work to protect red squirrels in South Lakeland. The Foundation have also kindly awarded us £1,000 from their HSBC Fund. This helps us with our marketing to attract more members, grants and donations, and with software to manage our accounts more efficiently. For 2018 we were awarded £250 from the Holehird Trust towards equipment and volunteer expenses. In May 2015 we received £3520 from the Lake District National Park Authority for vital equipment to help us monitor and manage squirrels. Thanks to this grant we were able to buy two thermal imaging cameras, four wildlife cameras and two global positioning system (GPS) devices. The thermal image cameras help us spot the warm blooded squirrels more easily, particularly in dense foliage while the wildlife cameras, which operate remotely, triggered by animal movements, help us to know whether we have grey or red squirrels – and sometimes other animals – coming to our feeders. The GPS devices help us accurately to locate and find our feeders and traps, which saves valuable volunteer time, particularly when working in remote or difficult terrain. 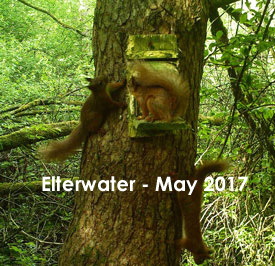 We received a further £3000 grant in 2017 to support grey squirrel control in the Rydal and Skelwith area. This helped prevent greys from moving into the Grasmere area, out-competing the resident red squirrel population and spreading squirrel pox virus, which is fatal to red squirrels. In December 2014, we received a fantastic grant of £250 from Lakeland, the kitchenware store, which has its headquarters in Windermere. We really appreciate practical support of this kind, which helps us with our day-to-day activities in protecting our precious red squirrels. We have received a Community Grant from Cumbria County Council for wildlife cameras to help with work in the Troutbeck valley.